One thing I love about PDFs is that I can digitally sign these documents and then fax them over to other people. There are several more reasons as of why you might be getting in touch of Pdf format documents. Being a writer, one of the prime reasons I use Portable Document format is because when I have some text to send to others for review, I like to send them in this format rather than a format that easily allows editing such as a spreadsheet or a word files. I Agree that PDF can be edited too, but writing them requires an extraordinary milestone to overcome. Whatever be the case, Docs.zone turns out to be quite efficient and simple web based solution that is worth exploring. If one is working on a system based on Windows, he or she would love this platform. 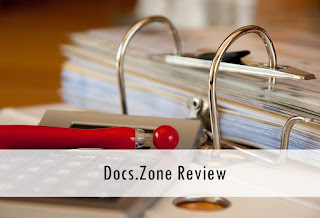 To craft my verdict on Docs.Zone PDF Software, I tried to have a look at it from every direction. I tried it on various basis, by converting one document from PDF to Word document and one complex Pdf into the word file. One thing that rapidly caught my attention was the domain name itself (Docs.zone). Visit this website to get started with the process. The toolkit includes its very own document to Pdf conversion, multiple file merger, the web to Pdf and Pdf to word conversion tool. All this is done with no need to install or download any external software on PC. To get started and test the first module, I am picking up one of my documents that I wrote for my client. It is quite enough to pick out the required file. Just navigate to the folder and select the file and click on open. Once you click on start, it would be just a matter of seconds until it gets uploaded and converted into a one-page letter. When I was testing the whole thing, it performed fast enough (it took only 15 seconds in total) to upload and to convert. Once done, it shows up in your Inbox. It would also list a file that you’ve previously converted from or to Pdf. It is from here that you need to click the Download button, and PDF is ready to view and share. This tool works in a pretty impressive way and retains all the formatting that was done in Windows. The Pdf that comes out as the result is ready to send to a client or colleague. This was its first tool; there are some other tools as well. For instance, I also tried to flip the process and convert a PDF document into Word files so that it becomes editable. Same interference and GUI, you need to click on select files again and then browse and select your desired Pdf doc. It would again take some time while it gets converted and is made available for downloading. Once done, it would provide you with Download button. The output makes it pretty obvious that this company has done an excellent job of designing a tool that quickly converts a highly formatted Pdf again into Word document. The whole thing is quite fast, easy and needs no software to be installed. There are dozens of PDF converters online, but this particular provider has stood out because of its simple way of providing a solution to what can be a complex problem for tons of people. The website also offers a very simple procedure of merging several PDF files into a single one. The whole thing is carried out with a very simple process and makes sure that it doesn’t become a hassle to do the task. Often at their website you’ll see that they pitch their solution of merging files to be quite simple, don’t think that they are making that up or joking. The whole process, as I mentioned above is quite simple and requires a mere click of the mouse and some seconds to get complete. To begin with, you need first to log on or sign up to the website. Yes, this site requires you to have an account. It can be irritating but not as much as downloading and installing a separate software. You, therefore, need to register first. Much like their working process, their registration process is quite simple as well. Plus you don’t even have to worry about getting spam emails. Once you have successfully registered, it is evident that you need to sign in. Once done, you will get redirected to the homepage. The thing that should get appreciation is that their home page doesn’t put up junk, it's straightforward and simple. Navigation is easy, and all the modules are clearly labeled within tabs for mentioning available functions. For the purpose of merging files ( Multiple Pdf files in single ), you need to click on Combine files to Pdf tab. Click on choose files and navigate to various directories and select the files that you need to merge into one single file. You should choose all the files that you want to combine. Once done, drag and drop them so that they come in sequence in which you want the information to be laid out in the final version of the document. Click on the Download button and you would be ready to save the file to your hard disk once the merging process is completed. The tool also has one online OCR Software, which can be used to convert text, image into our format. Although not much widely utilized by the casual audience as much as Pdf, it is still used and is in demand. There is much more software in this online toolkit. I prefer to use this website rather than downloading a software because sometimes I need conversion to be done when I am traveling, and I don’t have access to my computer. Also, it reduces my PC burden, and the files are accessible from anywhere around the world.